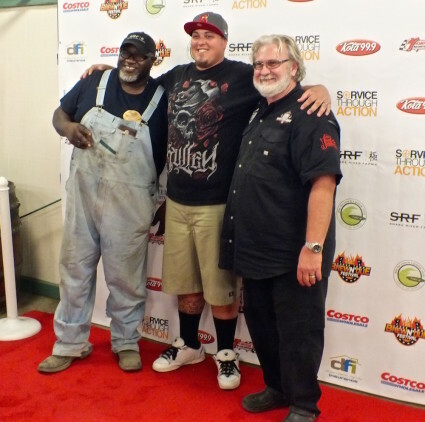 Myron and Moe taking photos with guests. Photo by Ed Simon for The Los Angeles Beat. Myron and Annella. Photo by Ed Simon for The Los Angeles Beat. Myron Mixon and Big Moe Cason. Photo by Ed Simon for The Los Angeles Beat.